For the second time in three months, Benue state will organise a mass burial for victims of suspected herdsmen attacks. 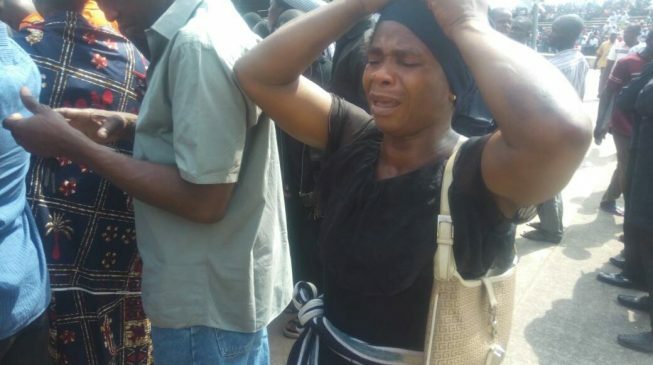 After another round of crisis between suspected herdsmen and residents of Omusu Edimoga in Okpokwu local government area of Benue state, 24 persons were killed. Samuel Ortom, governor of the state, has ordered that the victims of the latest attacks be buried on Friday. The Benue police command said trouble started after two herdsmen were declared missing on Monday morning at about 7:30am. Some irate youth from Omutu were said to have engaged the herdsmen in a fight, during which some of their cows were rustled. A peace meeting was subsequently convened by Olofu Ogwuche, chairman of the local government, and the head of the Fulani community in the area. The police were mandated to look for the missing herdsmen. However, the progress made got shattered when one of the herdsmen was reportedly found dead. Ogwuche said 24 persons were killed in the incident. He added that four suspects have so far been arrested in connection with the incident while security has been reinforced in the affected area.